Take some time to pamper yourself, or bring along your friends and relatives for some group down time at the spa or nail salon. If you’re short on time, visit a lash salon to add some pomp to your peepers before the holiday parties get underway, or grab morning mimosas while enjoying a pedicure. Everyone likes a salon that knows exactly what they want and how to do it. This can sometimes be a recipe for routine, going to the same local salon every few weeks. However, Denver has several high quality salons that have earned them a nomination and they are definitely worth checking out. When you want a change in your look, there is no quicker way than to change your hair. A new haircut can change your appearance almost as much as losing 10 pounds, and it’s a lot easier. It may be a quick fix, changing your hair can get pricey. Fortunately, there are options available in the Denver area where you can get a great haircut without forking over a huge chunk of change. There are many fine salons in Denver but if you're looking for an experience unlike any other, Salon Denver is the salon for you. From the moment you walk in, you'll experience vintage Denver at it's finest. From the classic Denver street lights and signs to the fun and rare landmark photos of Denver, you will surely enjoy your visit with them. Blondies is all about bringing out your inner beauty. Sleek and chic, fun and flirty, glam and gorgeous, their hair stylists and estheticians can help you achieve the "you" of your dreams. The Blondies stylists are on the cutting edge of industry trends, bringing you the latest hair styles! Little things count at Blondies. 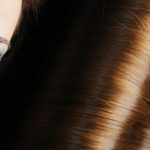 Whether it is letting your highlights process while kicking back in the stylish processing area or a one-on-one styling lesson from your hairdresser, you are treated to great service by a hip stylist who is in the know.